IF bets are conditional bets that depend on the bet before them to win or push. They only require a small ammount of your bank roll in order to potentially bet on many events. Let´s have a look at an example to help you understand. This example is using some NFL games but it does not matter what sport you use. In this example we have an IF bet with two bets for the same game. This is an example of how useful these bets are. Lets say we are most confident in Texas -3.5 and we think if they win it will be a low scoring game so we will add the under 36.5 points to the second leg of the IF bet. You could have bet 100$ on Texas -3.5 and 100$ on the under 36.5. In that case you are risking 200$ with the same potential winnings as placing the 2 leg IF bet in our example. This reduces the ammount of bankroll you are putting up and increasing the potential payout. As you you can see in outcome 2 you lost 11$ but you would have lost 11$ if you placed two single 100$ bets but your risk was double. Of course there is the risk that the second leg wins and the first leg loses as in example 3, yea that can be damn fustrating. You do not have to bet the same ammount on each leg of your IF bet for example 100$ on bet one and only the winnings 89$ on the second. 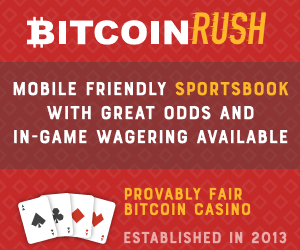 You can also have IF bets with more than two bets, a long chain of bets that could hit. Keep in mind there are two types of IF bets – IF WIN and IF WIN/PUSH – IF WIN only continues if the bet ahead of it wins, WIN/PUSH will keep going if there is a win or push. Action Reverse is a set of two, two leg IF bets. Let´s have a look at an example. We will take the same bets from our first IF bet. As you can see an Action Reverse is simply 2 IF bets and can really amplify your winnings as you can see in result 1 we would have risked 200$ to win 368$ and then would have 568$ total, not bad. Of course result 2 and 3 are not good but still a lot better than placing a parlay bet and losing by one team. You could also lose everything as in result 4. 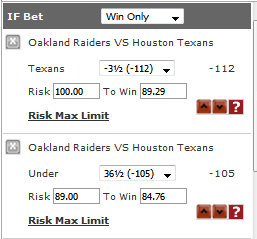 If you like to risk it with parlays I would really suggest having a look at IF and Action Reverse. You are going to lose a lot less often and can still leverage your bankroll. Even if we bet straight bets we would be exposing ourselves more. In the first example we would have risked 200$ to win 184$ instead of risking 100$ to win 184$. In the second example with the action reverse we would have to risk 400$ to win 368$ with single bets. As you can see you can use a small part of your bank roll and get big results with IF bets.